My page views dropped slightly in February, decreasing from 186,000 users to 139,000 (-25%) and 277,000 page views to 212,000 (-23%). 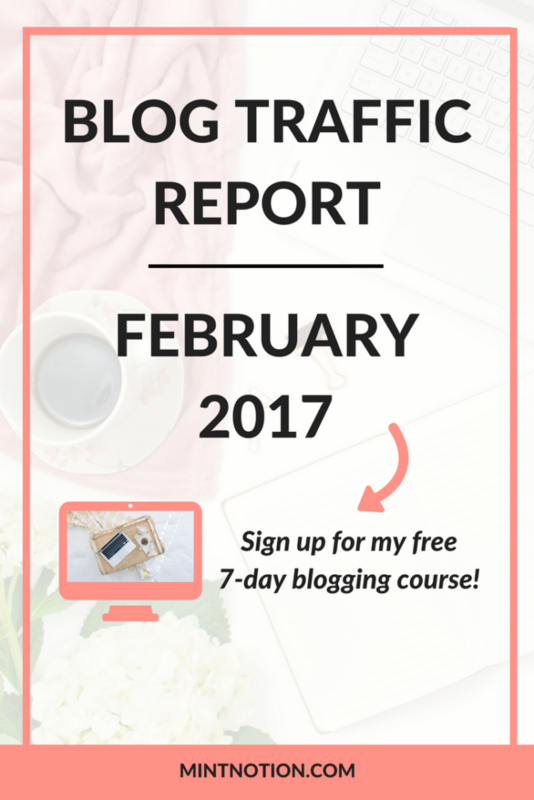 I had a surge of traffic in January due to a pin going viral on Pinterest and it helped to also increase my email list too, which was great. Despite the dip in traffic, February was still a good month for income. I’ve been focusing a lot on growing my email list and testing a few new affiliate marketing strategies with some good success. I’m continuing to learn new things every day when it comes to blogging. I am also planning on retaking the e-course Making Sense of Affiliate Marketing to brush up on Michelle’s affiliate strategies and implement some new techniques for my blog. I signed up for Making Sense of Affiliate Marketing at the beginning of September 2016 when my blog was making less than $100 a month. Now I’m earning a full-time income each month from blogging thanks to all the great tips I learned in Michelle’s course. You can read this interview I did with Michelle about her course here! In February, about 75% of my blog traffic came from Social Media (primarily Pinterest) and the rest was from Direct and Organic Search. In the past few months, I have been experimenting more and more with Pinterest and I feel like I finally cracked the code on how to use the platform to drive traffic to my blog and boost my income. Initially when I was searching for Pinterest tips last year, many blog posts and paid e-courses recommend using paid tools such as Tailwind or Boardbooster to schedule your pins. (Click the Tailwind link to sign up for a free trail). I tried both of these tools in the past, but found that my manual pinning strategy was more effective than these paid products. 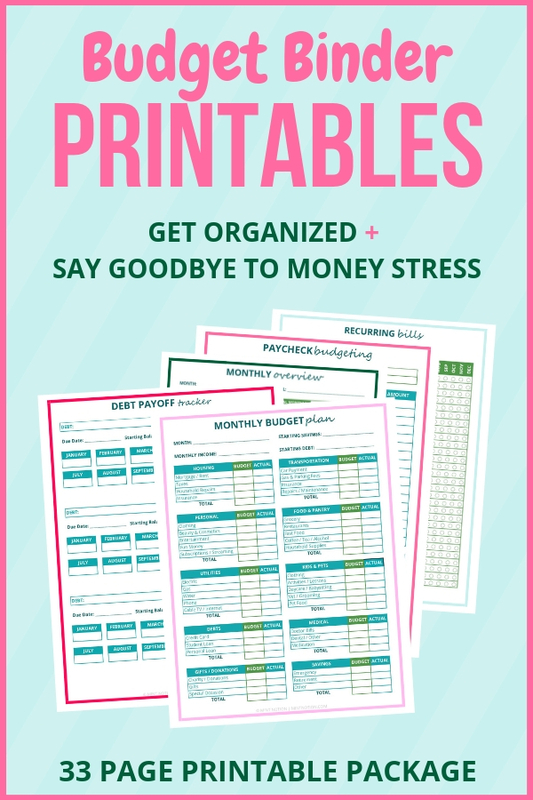 Plus, manual pinning is free! Honestly, I don’t believe automating anything that you don’t understand. Lena Gott, the blogger behind WhatMommyDoes.com was my position last year. 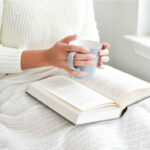 Despite spending hours working on her blog each week, she had only 17K page views per month. 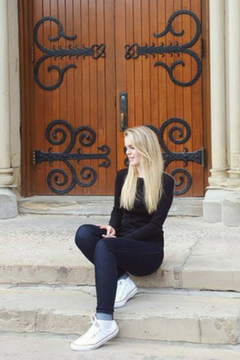 After doing some research, she was able to grow her from blog to over 350K monthly page views in just 9 months. Pretty awesome, eh? I felt like Lena did last year. My blog was almost two years old and I felt like it was growing at a snail’s pace. No matter how much work and effort I put into working on my blog, my page views had hit a slump. Then I started experimenting with some new strategies to boost my traffic and I finally hit 100K monthly page views. I wrote a detailed post about the 6 different traffic-building strategies I used. Click the link to read it! Despite growing my blog so quickly in just a few months, I ended up hitting another slump and that’s when I discovered Lena’s ebook. It only took me a couple of days to finish reading her ebook and it actually taught me SO much. 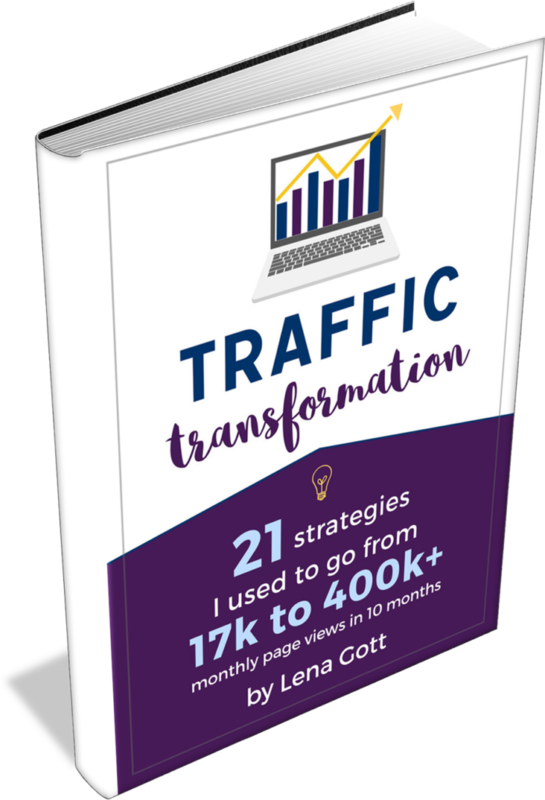 It’s been so helpful in growing my blog from 100,000 monthly page views to over 200,000 monthly page views. 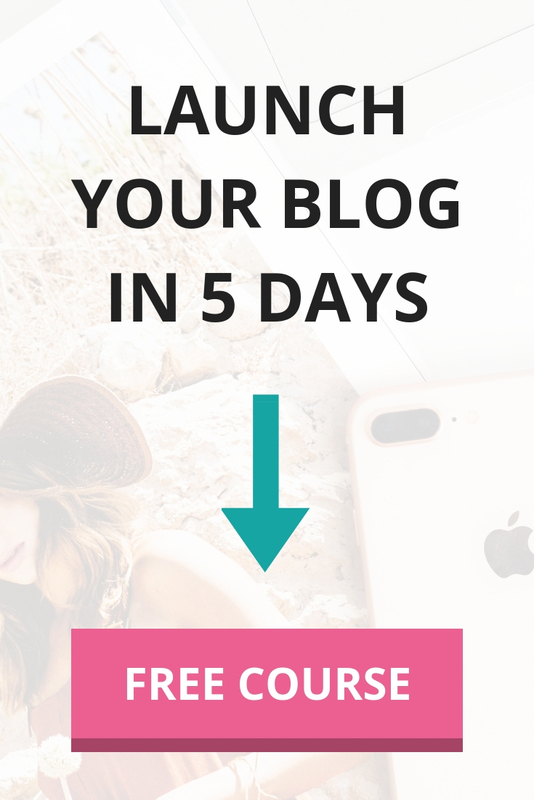 If you’ve been struggling to grow your blog readership, I highly recommend checking out Lena’s eBook. It’s very affordable and it can save you the cost of errors in a “trial and error” approach. You can learn more about Lena’s ebook here! Convertkit is the email marketing service I use and love. You may be wondering how an email marketing service has helped me grow my blog traffic, so I’ll tell you. Convertkit is an email marketing service that was built by bloggers, specifically for bloggers. It was designed to help grow your blog and increase your revenue. When I first started my blog, I didn’t have an email list. I didn’t understand why an email list was important or how it could help grow my page views and increase my income. In fact, I waited until two years into my blogging journey to even start an email list. I signed up with Mailchimp (because it was free for up to 2,000 subscribers) which make it a budget-friendly option for a frugal blogger like myself. At the time though, I was lucky to get one new subscriber per day on my blog. Despite having an email sign-up form in my sidebar, at the bottom of each post, and in the menu at the top of my website, my subscriber growth rate was incredibly slow! It was frustrating because my blog page views were growing, but my email subscribers weren’t increasing. And that was a problem. What’s the point of increasing your page views if you aren’t turning those viewers into subscribers? I heard SO many great things about Converkit and decided to sign up. I’ll admit that I was hesitant at first because I never paid for an email service before and I wasn’t sure what to expect. Fortunately, all my fears and hesitations disappeared once I learned how to use Convertkit and started seeing my email list grow faster than I could have ever imagined. I gained over 2,000 NEW email subscribers in the first two months after I switched to Convertkit – I was seriously amazed! I wrote a whole post explaining how I used Convertkit to grow my email list here if you want to check it out! Convertkit makes it super easy to create different opt-in forms to put anywhere on your website. I offer a variety of different freebies to my readers and it’s so easy to create an eye-catching form to attract new email subscribers. 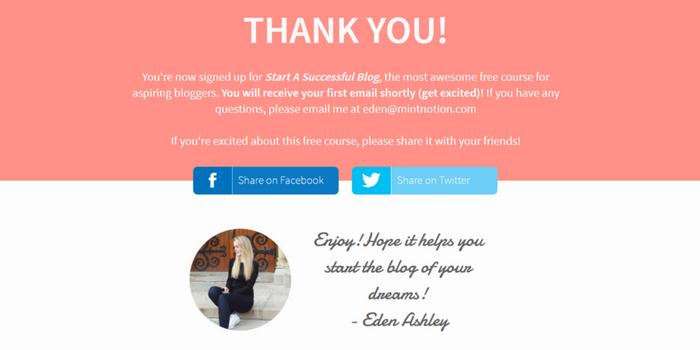 Here is an example of an opt-in form for my free blogging course. Convertkit allows you to create landing pages that are dedicated to your opt-in, which is a very effective way to gain email subscribers. My landing pages always have a much higher conversion rate than regular opt-in forms. You want to engage with your new email subscribers from the moment they sign up to your list. Convertkit makes it super easy to create a Welcome email sequence, which can warm up your email list and help build a relationship with your subscribers. 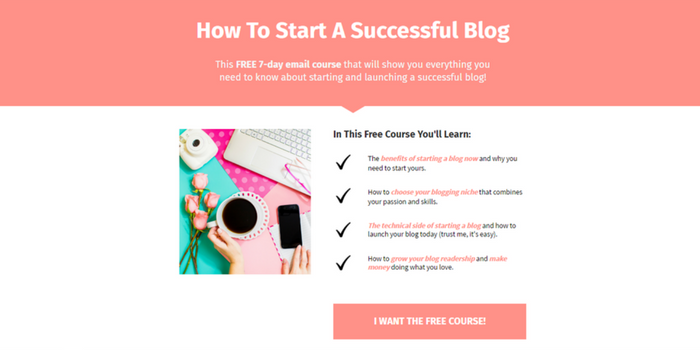 You can use their Sequence feature to create an awesome email course (as a freebie for your audience), a sales funnel (to help increase your revenue), and more! You can create tags based on your subscriber’s activity. This is a great way to help you understand your audience and give them more of what they want. For example, if you want to see if there is interest in a new product, you can set a “link trigger” in an email and if a subscriber clicks on the link, you can tag that person as being interested in the product. Leadpages is a landing page builder and lead generation software. Many professional bloggers use and recommend Leadpages to grow their blog and online business. I have heard A TON of excellent things about Leadpages, but I wasn’t sure if it was right for my blog. I can already create landing pages and opt-in forms using Convertkit, so I thought Leadpages wasn’t really necessary for me. After experimenting with Convertkit’s landing pages, I realized there were a lot of limitations and if I wanted to create a more custom and branded landing page for my opt-in offers, I NEEDED to use Leadpages. I’ve only been using Leadpages for a couple of weeks now and it’s safe to say that I’m a little obsessed with it! I love how simple and easy it is to create professional looking landing pages and opt-in boxes to grow my email list and showcase my freebies. I also love that I can create beautiful “thank you” pages which encourage subscribers to share my freebies with their friends. Over the next couple of months, I am also going to take advantage of their 144+ professionally designed landing pages and 90 drag and drop templates to create a sales page for my course, host webinars, a video series and more! Here is an example of how you can create opt-in boxes within blog posts. I create an eye-catching graphic in Canva, then I add it to a Leadbox I created in Leadpages. When someone clicks on the graphic, a Leadbox appears which makes it easy for visitors to subscribe and receive my freebie. When someone clicks on the left image, a Leadbox will appear for a visitor to enter their email address and join the free course. Canva is the free tool I use to create all of my Social Media graphics. It’s quick and easy to create graphics for my posts, landing pages, and more. You can choose from one of their premade templates or from scratch. Lately, I’ve been trying to make my blog more Pinterest friendly. 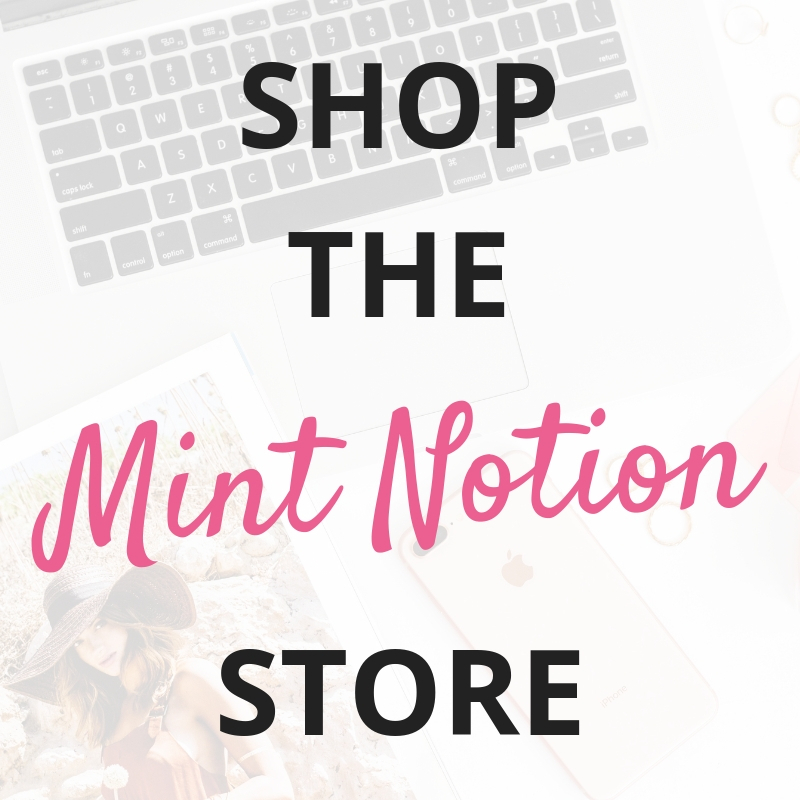 Instead of just having a photo in my blog post (which I used to do in the past), I created Pinterest-friendly graphics in Canva, so it’s easier to get noticed and drive traffic to my blog through Pinterest. These new graphics also create a cohesive brand for my blog, which is great for growing my readership. Since I get most of my traffic from Pinterest, I’ve been experimenting with different pin graphics to see which images gets the most engagement. I recommend doing the same with your own Pinterest graphics. 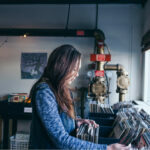 You never know if a simple tweak to your images can help boost your traffic. Are you still manual pinning? If so, do you do that every day? & how many pins do you pin? Hey Belle, yes I am still manual pinning. I pin around 30-70 pins every day. Thanks Eden! I’m currently doing the Making Sense of Affiliate Marketing course after taking your advice and am finding it so beneficial. Oh and isn’t Canva the best! great post!!! I need to do the email blast where is does emails the blog post etc. I just haven’t had the time with everything else. I havea a sign up page, but I need to actually do the newsletter. Yes, sending out emails is a great way to connect with your readers. Thanks for reading Stephanie!